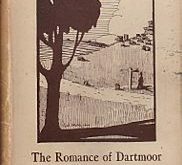 Dartmoor has over the centuries inspired numerous poets, authors and artists but there is one particular artist that was not only inspired by the landscape but by the livestock who grazed upon it. Anybody who is familiar with the music of Gordon Lightfoot will probably know his song, “The Pony Man“, in which are the following lines: “He leads a string of ponies, Some are white and some are brown, And they never seem to kick or bite, They only want to play“. That is how I like to think of the artist, Thomas Rowden. It is probably unfair to label him as the Pony Man because he also painted superb pictures of sheep, cattle and the occasional moor man going about his work. However, for me it is his Dartmoor Pony works that seem to bring alive the very essence of the breed, hence the Pony Man. Thomas Rowden was born in Exeter on May the 26th 1842. His father, John, was a carpenter and in his former years Thomas also learnt the carpentry trade. However, this life didn’t suit and at the age of 17 he joined the Royal Marines and was moved to Plymouth. In 1861 he was serving on HMS Conqueror which was based at Devonport Docks. In 1868 he married a girl called Ellen Jones, and over the following 18 years they had nine children. Sadly his wife Ellen died in 1884 but two years later Thomas remarried when a further 3 children were born. William Crossing in his book, The Dartmoor Worker, remarked: “The Cattle and Sheep of the hills, and the half-wild ponies which roam over it have a faithful delineator in Tom Rowden…“. Apart from those few words very little else is mentioned of Thomas Rowden, even in his book, Dartmoor Artists, Le Messurier only gives a few cursory lines about the man’s work. But today at auction his paintings often sell for anything between £300 and £1,500 which shows there is still plenty of demand for his work. I am unsure how many pieces he actually produced but I have images of at least 33 of his Dartmoor works. Out of all of Rowden’s paintings that I have seen my favourite is the one shown below which portrays a moorman driving his sheep next to the river Lyd. You can almost hear the bleat of the sheep and the clatter of their hooves as they move alongside the murmuring river, the air is filled with the smell of gorse and heather. Slowly the flock makes their way over the moor, gently chided on by the brindled Devon collie dog and the old moorman. Rowden’s work seems to be able to portray a sense of calmness and tranquillity, all the animals are either contentedly grazing or slowly ambling across the moor, nothing seems rushed or excited, even the ever present streams gently tumble from the moor – is this part of the artist’s character coming through? I recently acquired a watercolour painting by Tom Rowden entitled Prawle Point, East Devon Coast. I would like to get it insured but have no idea what it would be worth. Do you know anything about this painting?